Ever since renting a Heavy duty van from Home Depot all I can think of is getting one of my own. After a bit of research it seems GM makes the perfect one. 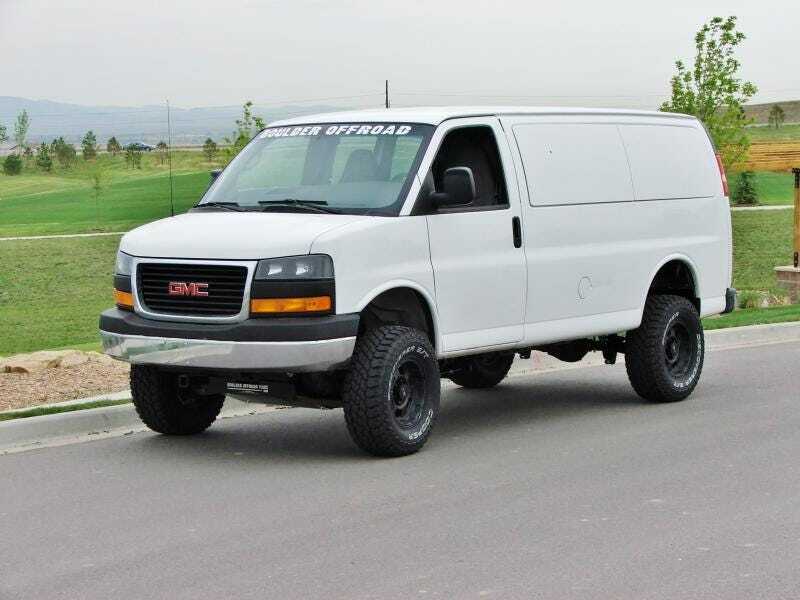 You can buy a Chevy Express/GMC Savana 1500 with AWD! They come equipped with the super durable LS 5.3 mated to a 6spd 6l80e auto. On top of that it turns out you can actually buy a 6” lift kit for this very van. Van pictured above is on 33” rubber. I have this overwhelming desire to make a bug out vehicle although I realistically have no need for one. The wife is on board too the only setback is the severe lack of funds. Even in stock form the AWD seems plenty capable.